As part of an event entitled ‘A Weekend of Commemoration and Hope for the Future: Stories of the First World War from Edgbaston and Ladywood’, there will be a day dedicated to Raymond Lodge at St George’s Church, Edgbaston on Saturday 19 September 2015. Details of the day are below. To download the programme for the whole weekend click here. Our focus is on Raymond Lodge, who was killed at the age of 26 on the Somme in September 1915 and his family, including Sir Oliver Lodge, the scientist, academic and psychical investigator. The family lived opposite the church and a memorial to Raymond was placed by his parents in St George’s. There will be a seminar and exhibition of memorabilia focussing on Raymond, his family and Birmingham connections. There will be presentations and exhibits from academic contributors and members of the Lodge family. 10.30: Registration, coffee and viewing of memorabilia. 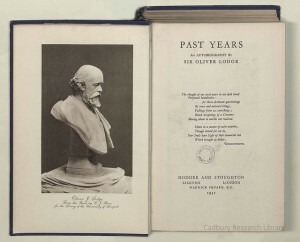 11.00: Dr Jim Mussell, Associate Professor, The University of Leeds and Principal Investigator on ‘Making Waves: Oliver Lodge and the Cultures of Science, 1875-1940’ talks on “Sir Oliver Lodge in Birmingham”. 12.00: Julian Godlee, great-grandson of Oliver Lodge, sings from A E Houseman’s A Shropshire Lad set to music by Butterworth: ‘Loveliest of Trees’, ‘With Rue my Heart is Laden’, ‘The Lads in their Hundreds’, ‘In Summertime on Bredon’. Lunch: eat out locally or bring a picnic and eat in the church or its grounds. 14.00: Nicholas Godlee, grandson of Oliver Lodge, talks on ” Raymond Lodge 1889 – 1915”. 14.30: Audio and film prepared by the Lodge family. 15.30: Rev Canon Dr Georgina Byrne, Worcester Cathedral talks on “Religion and Spiritualism during the First World War”. Canon Byrne is the author of Modern Spiritualism and the Church of England, 1850-1939 (2010). Registration is free but necessary. Voluntary donations to the Church ‘Let the Stones Live’ restoration fund, with Gift Aid where appropriate, will be welcome on the day. Please register with:- Dr S Jane Darnton, E: janedarnton@btinternet.com or T: 0121 440 7813. By Saturday 12th September, 2015. On Sunday the 20 September, 10.30am, there will be a morning church service at which the congregation, including members of the Lodge family, will seek to commemorate and to commit themselves to the making of peace for the future and to all that makes for a strong community and society. During the memorial service we shall dedicate a Peace Garden planted by our children in the Church grounds. The seminar will be chaired by Christine Ferguson (Glasgow). It will take place in the Dana Centre, Science Museum, South Kensington, London, SW7 2DD, 2-4pm. For further details about the location, click here. Registration has now closed for our final workshop. However, we have some spaces available so if you would still like to attend, email the project (oliverlodgenetwork@gmail.com) asap. This workshop features a range of papers from people interested in life writing, the history of science, and the digital humanities. Our keynote speaker is Professor Bernard Lightman (York University, Toronto), who is speaking on Lodge and the new physics, and the workshop concludes with a public lecture from Professor Graeme Gooday, who asks ‘Why Did Scientists Come to Write Autobiographies?’. Other speakers include David Amigoni, Berris Charnley, Jamie Elwick, Kris Grint, Rebekah Higgitt, James Mussell, and Cassie Newland. Lodge has been a difficult person to situate in both the history of science and the period more broadly. His spiritualism and strident defence of the ether meant that his scientific reputation became tarnished as he was associated with the ‘losing’ side. His long life makes him difficult to situate in terms of period: born in 1851 and dying in 1940, Lodge became seen as a Victorian who had outlived his era. This workshop asks what a life like Lodge’s reveals about our historiography and our curatorial and archival practices, while also considering how digital technology might allow us to revisit scientific lives in new ways. The workshop will be held in the Henry Moore Room at Leeds Art Gallery, 6 March 2015. Further details available on the workshop page. Early 1888, Oliver Lodge performed a series of experiments on electrical oscillations along wires that led him very close to Heinrich Hertz’s discovery, announced that same year, of electromagnetic waves in free space. Within a few years, Lodge and others began to use such waves for wireless telegraphy, laying the foundations for technologies that are now ubiquitous. On the surface this looks like a classic case of ‘applied science’, in which a laboratory discovery was turned to practical use, and in some ways it was. But on digging more deeply, we find that Lodge’s work was itself rooted in an intensely practical concern: the protection of buildings from lightning. The path from lightning protection to the discovery of electromagnetic waves, and then on to their use in telecommunications, was winding and indirect. Following this path will shed light on some important ways in which technology and science can interact. Lodge’s work on lightning grew out of an invitation from the Society of Arts in London that he deliver two lectures on the subject as a memorial to Dr. Robert Mann, a former president of the Meteorological Society. Lodge read up on the subject, particularly the authoritative 1882 Report of the Lightning Rod Conference, and also performed experiments of his own tramadol, using tea trays to stand in for storm clouds and discharges from large Leyden jars to mimic bolts of lightning.1 This choice of model was the key to almost all that followed, and it turned out to have some flaws—clouds, it seems, are not really much like tea trays. Simply as studies of Leyden jar discharges, however, Lodge’s experiments were valid and valuable; they shed light on several phenomena related to lightning protection, and more importantly, they led him to new discoveries about rapidly oscillating electric currents. Many of Lodge’s experiments involved what he called ‘the alternative path’: he would arrange various conductors and insulators, connect them to his Leyden jars, charge them with an electrostatic generator, and see which path the resulting discharge followed. In the course of these experiments, he found many cases, particularly of what he called ‘impulsive rush’, that did not behave the way orthodox theories of lightning protection would have predicted. This led Lodge to criticize some of the conclusions of the Lightning Rod Conference and landed him in heated controversies with some of its defenders. Lodge also noticed some new and unexpected phenomena, particularly when he discharged the Leyden jars into pairs of long parallel wires. Not only did sparks sometimes jump between the wires, but the sparks were longest at their ends, as if the current was surging along the wires and producing a ‘recoil kick’ as it reflected off their ends. Lodge knew that Leyden jars discharges could produce oscillating currents and, partly prompted by his junior colleague A. P. Chattock, he now concluded that these were forming actual electromagnetic waves that were moving at the speed of light through the space surrounding the wires. Here, Lodge thought, was the long-sought confirmation of Maxwell’s theory of the electromagnetic field. He appended a section on these waves along wires to a paper on ‘Lightning Conductors’ that he sent off to the Philosophical Magazine in June 1888, and he set off on a hiking holiday in the Tyrolean Alps with fond hopes that his discovery would be the hit of the upcoming meeting of the British Association, set for September in Bath.2 He soon found, however, that Hertz had performed even more striking experiments on electromagnetic waves in Germany, and Lodge presented his own work simply as a confirmation of Hertz’s. Lodge continued to work on lightning protection, working with Alexander Muirhead to patent and market an arrester for use on telegraph and power lines, and in 1892 publishing a book on Lightning Conductors and Lightning Guards that brought together his previous writings on the subject.3 Eventually he and others recognized the deficiencies in his experimental model of lightning, in particular the fact that storm clouds (unlike tea trays) do not act as connected conductors, and their discharges, though very sudden, are not generally oscillatory. But while Lodge’s work on electrical discharges was rooted in the practical problem of lightning protection, its real value lay elsewhere, in the scientific evidence it provided for the existence of electromagnetic waves, and in the eventual use of those waves for wireless telegraphy. Lodge’s work on wireless telegraphy did not grow out of pure undirected scientific research, nor did it grow out of a deliberate effort to produce a wireless communications system. Instead its development followed an ‘alternative path’, starting in one technological context and ending in a quite different one, passing along the way through realms of scientific experiment and theory. 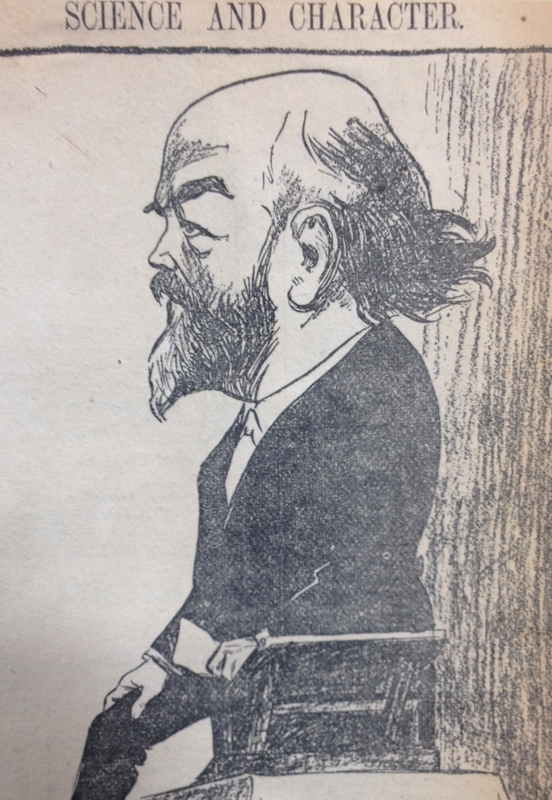 My paper at the third workshop explored the role that Oliver Lodge had in forming a balance between pure and applied science subjects, and between the Sciences and the Arts and Humanities, and, as a result, in laying the foundations of the University of Birmingham. Birmingham was a new form of higher education, the first civic university in England. This was characterised by the Applied Sciences, but there was a concern on the part of Birmingham’s founders for the pure sciences and, in time, the Arts and Humanities, to be included in the portfolio of subjects. Birmingham is often seen as a product of the political networks and liberal ethos of the University’s founder, the politician and statesman Joseph Chamberlain. Certainly, his campaign was key in raising the finances the University required from amongst the local industrial and commercial elite. Chamberlain was also instrumental in developing the governing structure of the new institution. In contrast, Lodge’s role as the first Principal of the University from 1900, until his retirement in 1919, has been neglected. This paper attempts to restore Lodge’s importance. As a pure scientist who developed practical outcomes from his research while he was Professor of Physics at Liverpool, Lodge argued for the reliance of applied on pure science from the 1880s. This was key to the nature of the new university. So too was Lodge’s belief in a ‘liberal’/’liberal arts’ university education, this being seen as important in preventing scientists and those in the applied sciences from becoming too narrow and utilitarian in their attitudes. Lodge’s wider political values also proved important in the shaping of the new university. While the history of Chamberlainite municipal liberalism in the city of Birmingham was key in forming the relationship between the University and the Midland region, Lodge’s Fabianism, with its ‘municipal socialism’, had some influence in ensuring that local political and professional interests were represented in the governing system of the University of Birmingham. Registration for our fourth and final workshop is now open. The workhop addresses some of the methodological difficulties in approaching a life such as Lodge’s, and considers how such a life might be told using the various digital tools and resources we have available today. If features a lecture by David Amigoni; talks by Berris Charnley, Jamie Elwick, Kris Grint, Rebekah Higgitt, James Mussell, and Cassie Newland; and a keynote lecture by Bernard Lightman. The day finishes with a public lecture, ‘Why did scientists come to write autobiographies?, by Graeme Gooday. Both workshop and public lecture will be held at Leeds Art Gallery. Further details about both the day and how to register are on the workshop page here. Oliver Lodge was deeply in awe of the achievements of James Clerk Maxwell. He saw all his work as expanding the Maxwellian worldview, but he struggled with one of its most distinctive features: the mathematization of nature. Lodge acknowledged that the sophisticated mathematics involved were beyond his abilities, and developed his own nuanced understanding of the role and significance of mathematics in physics. Lodge’s early obstacle to following Maxwell’s mathematical example was his exclusion from the Cambridge pedagogical tradition. Maxwell’s Treatise was an exceptionally difficult text, and Cambridge figures such as W.D. Niven had to work extremely hard to make sense of it and pass that that knowledge on to their students. Lodge, however, did not have access to this system and wrote that he ‘always regretted that I didn’t go through the Cambridge grind; for I am somewhat isolated from all those who did’.1 Instead, he learned mathematics from O.M.F.E Henrici at University College London, who taught German-style projective geometry and graphical methods instead of Cambridge analysis. This visual, practical style can be easily seen in Lodge’s famous mechanical models. The restoril core problem, however, was less the people than it was the teachers. Lodge objected to the basic Victorian assumptions of how mathematics should be taught. For example, geometry tended to be taught through the process of memorizing Euclid and expecting a student to synthesize all the abstract propositions as one complete system. Rather that this systematic approach, Lodge said, students should be encouraged to experiment with ‘handled things’ like counters or beans and thus discover mathematical laws for themselves. This way, students would be excited by their subjective discoveries and develop an interest in the subject. Their inevitable mistakes in this process would only deepen their appreciation for the correct mathematical laws that they learned later on. Students would come away from this teaching method with an incomplete knowledge of mathematics. Lodge was confident that this was acceptable, because the student would have developed a sense of the concrete meaning of mathematical symbols and laws (as opposed to solely considering them as abstract entities). He was deeply concerned that scientists have a correct grasp of this issue. On the other hand, someone might be dazzled by the aesthetic beauty of an equation and forget that under the abstraction was a physical concept. Careless mathematicians might hide – intentionally or not – their ignorance under an otherwise beautiful equation. This, Lodge wrote, is where Einstein went wrong. He objected that relativity reduced all the basic categories of physics to pure mathematics, and in doing so ‘leaves us in the dark as to mechanism’.4 That is, it gave us equations but did not explain anything. The equations were so abstract that they gave us no actual information about the world. Physics was supposed to be about modeling the world in the manner of Maxwell and Kelvin. Equations were nice to have, but they could not substitute for concrete physical meaning. Lodge wanted a ‘full blooded’ universe.5 By this he meant a universe of physical sensations and conceptions based on ordinary experience, rather than solely on ‘complex mathematical machinery’.6 This was where he thought modern physics had failed, and Victorian physics had triumphed. Einstein had blindfolded himself with beautiful mathematics and did not realize that he had gone astray. Lodge spent his career arguing that physics needed to have the right balance of pure xanax and concrete mathematics. No one should be surprised that Lodge held up Maxwell as the exemplar of the correct mix of physical understanding and symbolic power. Faraday did not have enough pure maths; Einstein had too much. Einstein had been entranced by aesthetic beauty as a mathematical method, rather than as something that was found at the end of a well-established theory. Models were the touchstone that allowed physicists to set up reliable equations while also preventing unchecked mathematical adventuring. Some beings of extraordinary ability could move beyond their models – as when Maxwell developed his more abstract electromagnetic system. But according to Lodge, such people were few and far between – and included neither Einstein nor himself. Registration for our third workshop – Science, Pure and Applied: Oliver Lodge, Physics, and Engineering – is now open. To register for the workshop please email us at oliverlodgenetwork@gmail.com giving us your name, institutional affiliation (if any) and letting us know of any dietary requirements you might have. Registration is free and will close on 17 October 2014. This workshop examines the distinction between pure and applied science in the late nineteenth and early twentieth centuries. Today, Lodge is most celebrated for his role in the development of wireless telegraphy; at the same time, however, he is remembered for his stubborn defence of the ether in the face of relativity and the new physics. His position in the university meant that he acted as spokesperson for pure research carried out by salaried academics while also representing the self-made engineer, able to turn theory into profit. This workshop will consider Lodge’s contribution to science and engineering; his attitudes to intellectual property and priority (including Lodge’s disputes with his rivals); and the trajectory of his career. The workshop will take place in the Leggate Theatre of the University of Liverpool’s Victoria Gallery and Museum, the opening of which Lodge attended in 1892. There will be an opportunity to visit the exhibition ‘A World A Particle’; a screening of a film featuring Lodge speaking; and an opportunity to view the University of Liverpool’s Lodge material in the archives. Further details, including the full programme, are available on the workshop page.